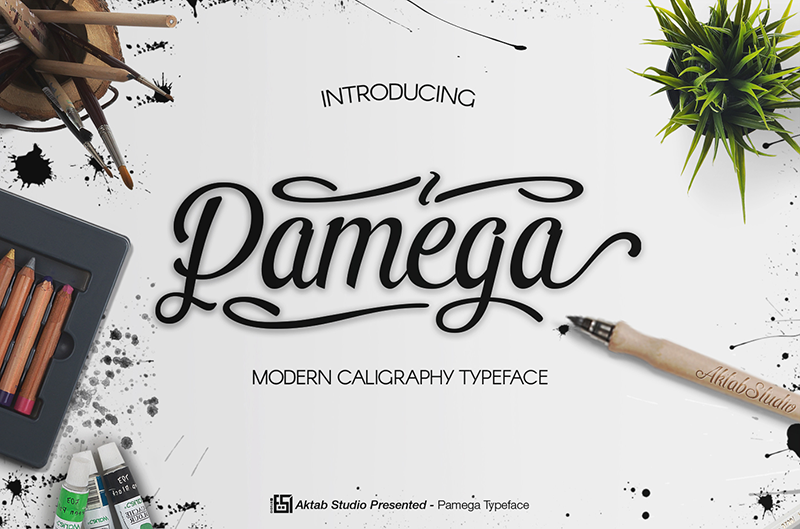 Pamega Script is a modern font with more featured and made with hand lettering. Pamega Script have a glyphs over 2300 glyphs, this font suitable for wedding invitation, greeting cards, T-Shirt, Logo or any design that you create. comes with a complete set of standard characters, Alternates, Punctuation & international glyphs, Swashed, Fraction, Contextual and many more.